. 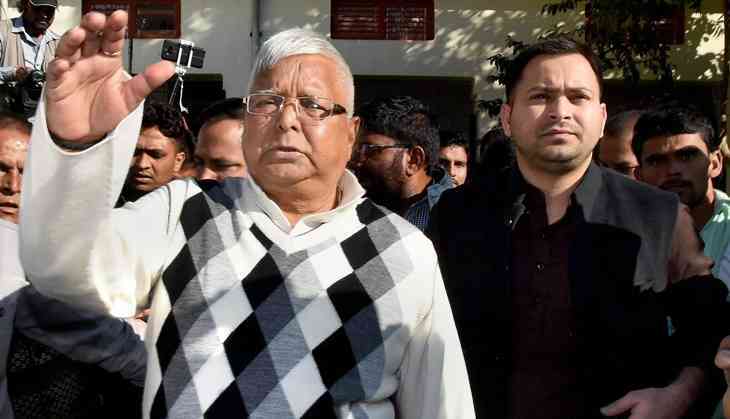 @laluprasadrjd convicted in #FodderScam - What next for the RJD supremo? Lalu Prasad Yadav’s political career is in a mess which he may find hard to come out of. A special CBI court convicted him in yet another fodder scam case in Ranchi on Saturday. The quantum of punishment will be decided on 3 January 2018. The court convicted 15 others besides the former Bihar chief minister even as another former chief minister Jagannath Mishra and five others were acquitted by the court. The verdict was reserved by the special court on 13 December. Lalu Yadav said the truth will finally prevail as he appealed to his supporters to maintain peace after the verdict was announced. The verdict could prove a shot in the arm for Nitish Kumar’s JD(U) which distanced and broke away from the coalition government with the RJD, deciding to form the government with BJP’s support. Corruption was cited as a reason for this break-up of two leaders who were once comrades in arms. The senior Bihar politician, one of the people who has been most vocal against the ruling NDA government at the Centre, was convicted in yet another case in 2013 where he was found to be involved in siphoning off Rs 33 crore. The court had then banned him from contesting elections for six years. Mishra, too, was convicted then. After the CBI judge announced the verdict the RJD Chief was taken to Birsamunda prison where security has been heightened owing to the new VIP prisoner. Yadav and others have been found guilty of embezzling of more than Rs 89 lakh from the Deoghar Treasury between 1991 and 1994. There were 34 names in the long list drawn up by the CBI of corruption charges. Eleven died during the trial while one turned approver. After the verdict was announced, RJD says it will move High Court against the verdict. A lie can travel half way around the world while the truth is putting on its shoes. ....But still prevails...In the end though. Congress too jumped to Lalu’s support. “Lalu Yadav has been fighting this legal battle since 1996. It started when BJP leaders filed PIL against him in Patna HC. He and his lawyers are capable of fighting this case. I want to ask BJP why Srijan scam is not being investigated,” Manish Tiwari was quoted by a news agency. Expectedly, the BJP is jubilant. Deputy CM Sushil Modi, who has been at the forefront of ‘exposing’ Lalu Yadav said the verdict was on expected lines. It was a PIL by Modi and others who started off the proceedings in the corruption case. The fodder scam case which came to light in 1996. It was alleged that Rs 1,000 crore were siphoned off from the treasury for the supply of cattle fodder to companies which did not exist. It was a Patna High Court order which kicked off the investigations in the case. Later, the Supreme Court, too, had also formed a two-member bench to monitor the progress in the high profile case. In 1997, CBI chargesheet named Lalu Yadav and 55 others on charges of IPC 420 (forgery) and 120 (b) (criminal conspiracy) and Section 13 (b) of the Prevention of Corruption Act. The chargesheet had forced the RJD Chief to surrender before the court. He also resigned as the chief minister. It is then that he had anointed wife Rabri Devi as the chief minister in his place.